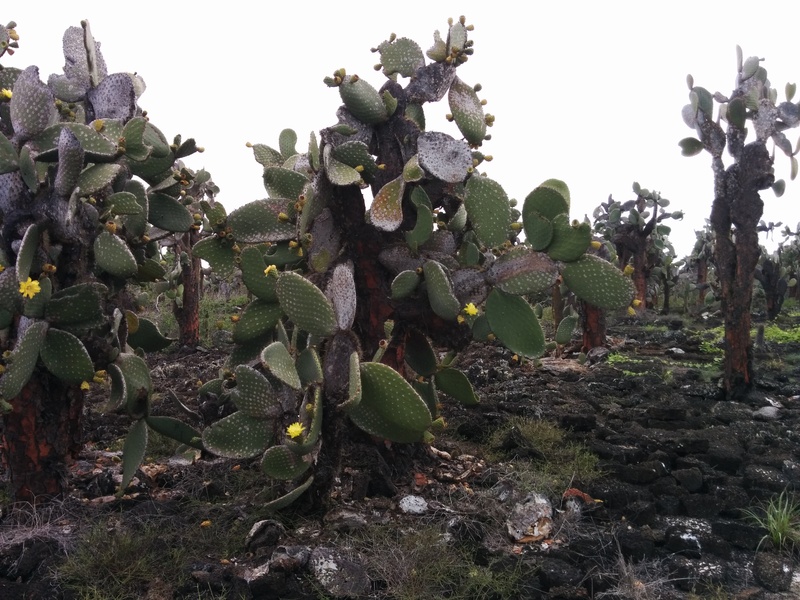 Yes, the Galápagos was so incredible that it warrants 4 – yes four – posts! Fourmidable! How fourtunate! Four the love of God…. 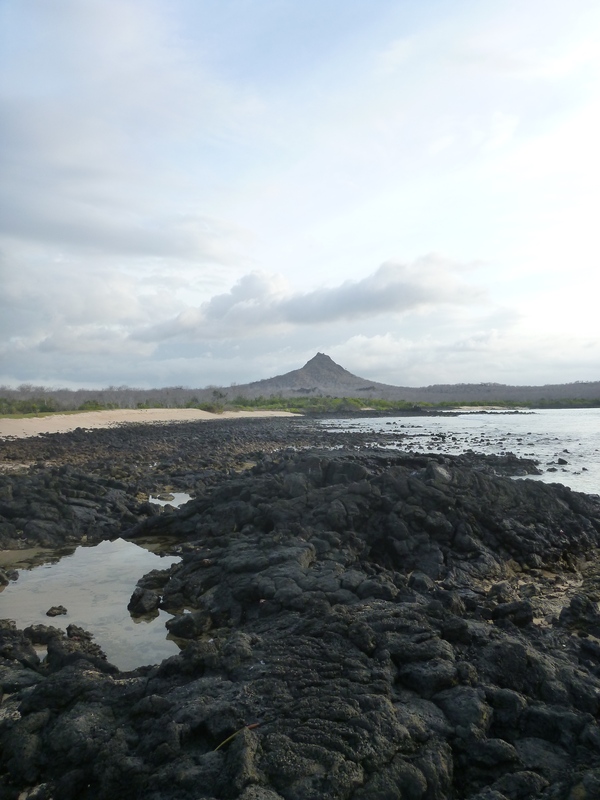 First, a few reflections on why Galápagos is such a special place. Then, if anyone is interested, I’ll post the day-by-day itinerary and how we found and booked it. Finally, there’s an alternative ‘Man Baby’ blog… the itinerary in the life of another Encantada (our boat) cruiser. 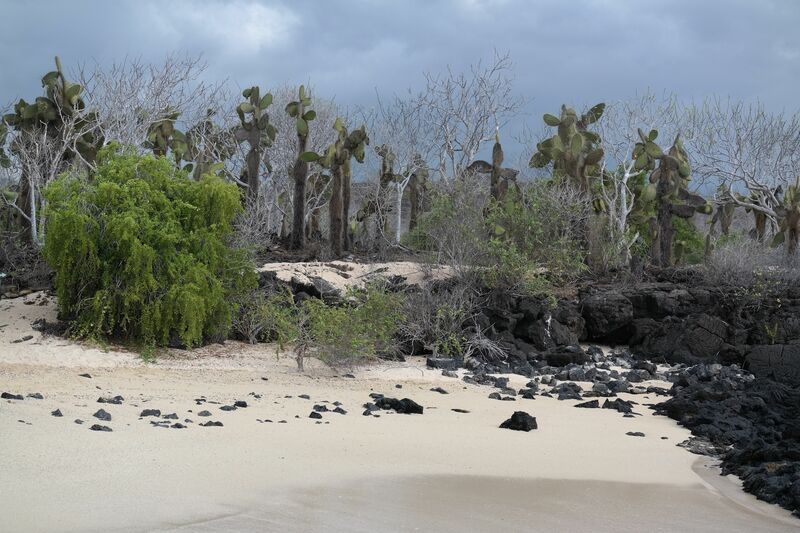 So, why is Galápagos a special place to visit? You fly out from Guayaquil across the sea, for a couple of hours. Just sea. A lot of sea. 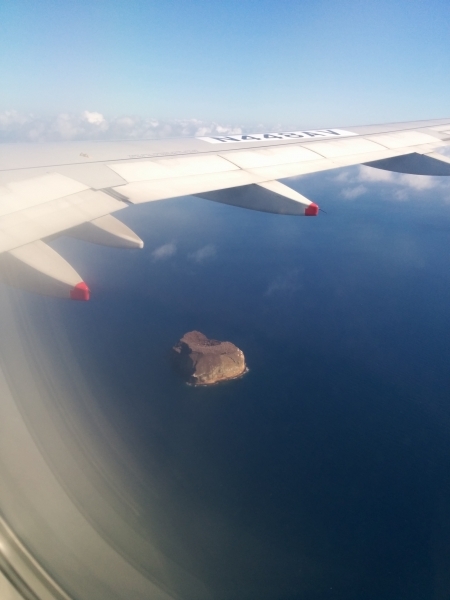 You land precisely on a tiny island in the middle of the vast ocean, and step off the plane into a desert. Rock, dirt and cacti in +35 degree heat. This place has driven men mad. It used to be an American military base purposed with protecting Panama. Protection was never actually needed, but many a military man has spent weeks and months on the barren, flat land rising from the azure sea… drinking themselves into coping. All this, of course, just adds to your sense of adventure. 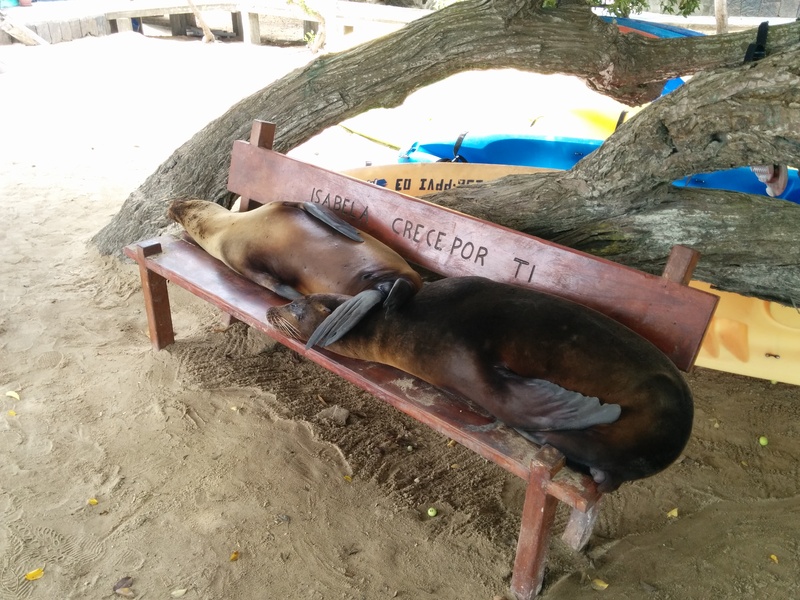 There are other places on this planet where you can swim with sea lions, sharks and turtles, see iguanas or blue-footed boobies. 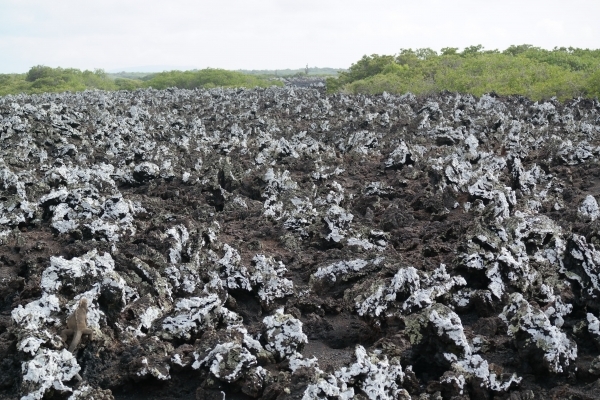 But, there are three reasons why Galápagos is better. Firstly, the only way for life to arrive here was by accident, and even then only the lucky few survived. You aren’t just looking at animals and plants, you are always wondering about how life took hold in this inhospitable environment and marvelling at the achievement of the winners. Secondly, you can see observable differences in species between the islands. 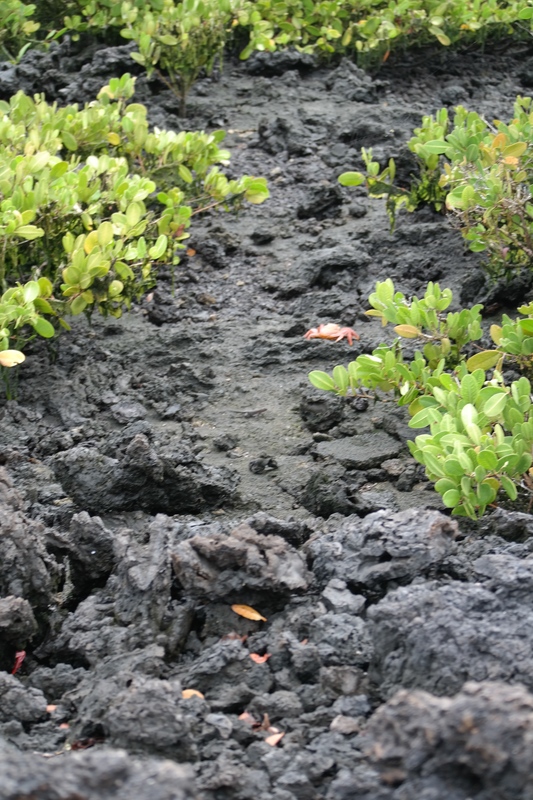 Iguanas are a red colour on Rabida to camouflage against red sand, on Isabela much more green to blend in with the algae and they are much larger. Land tortoises come in saddle back or round back depending on island and mountain. Lava lizards are different colours to blend better with coral sand or lava landscapes. Evolution is inescapable and the consistent theme of thoughts and questions. Lastly, the majority of animals have not been hunted – just observed in a few places. They are not afraid of humans. You can get within a meter of everything (you’re told not to get closer, but its possible and you often do by accident) – and even the fish (the most skittish normally) will let you. Of course the landscapes here are borne of volcanic activity and tectonic plate movement. Some islands are millions of years old, colonised by plants and have white sand beaches. 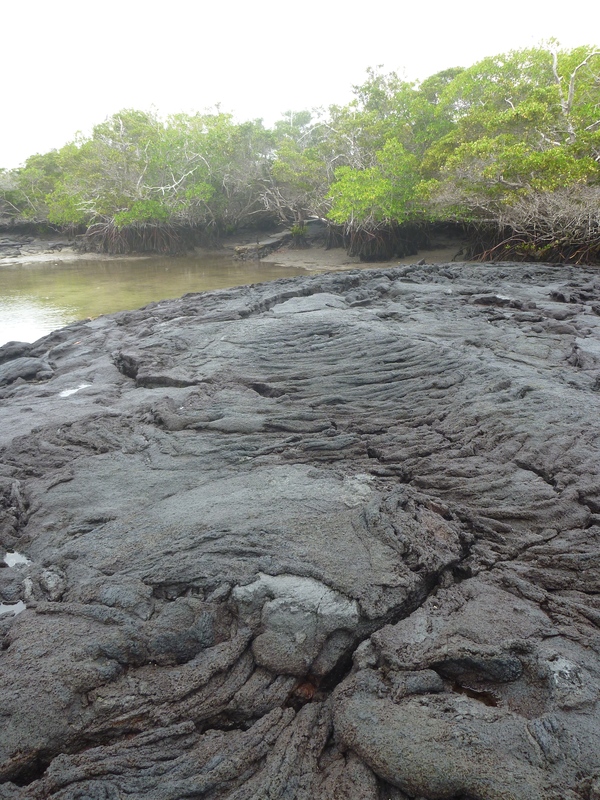 We were visiting the newer islands – the most recent eruption was (I think) 2009 on Fernandina. 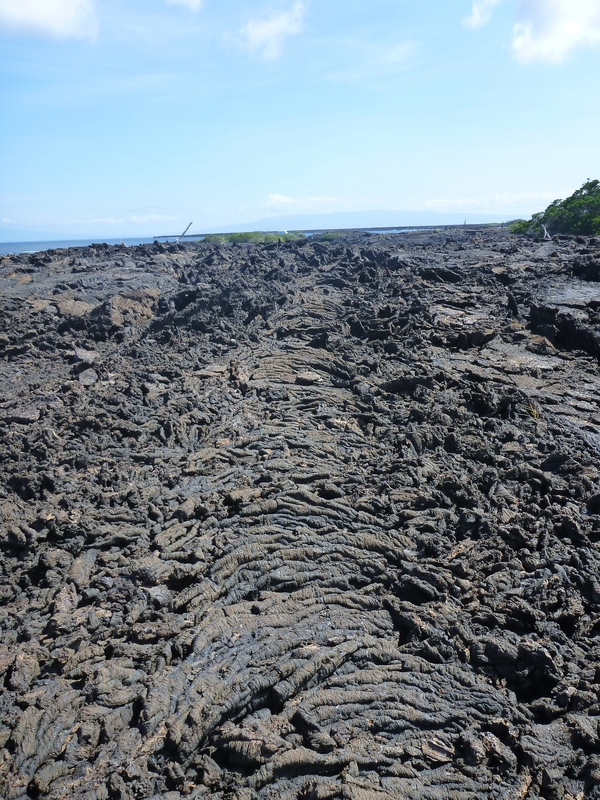 The lava laid down in the last centuries here and on Isabela looks just like it was deposited yesterday. 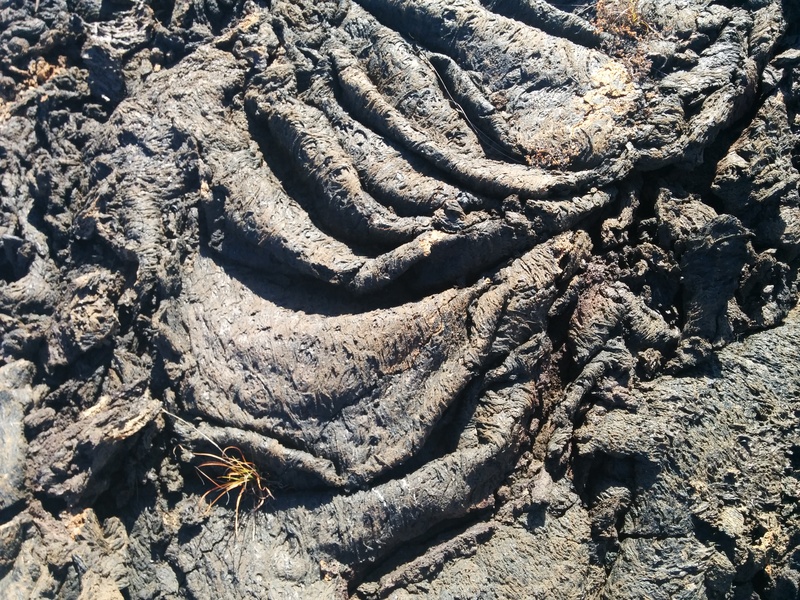 “Pahoehoe” lava is gloopy and thick, sets like butter in a churn with all its ripples and bubble holes. 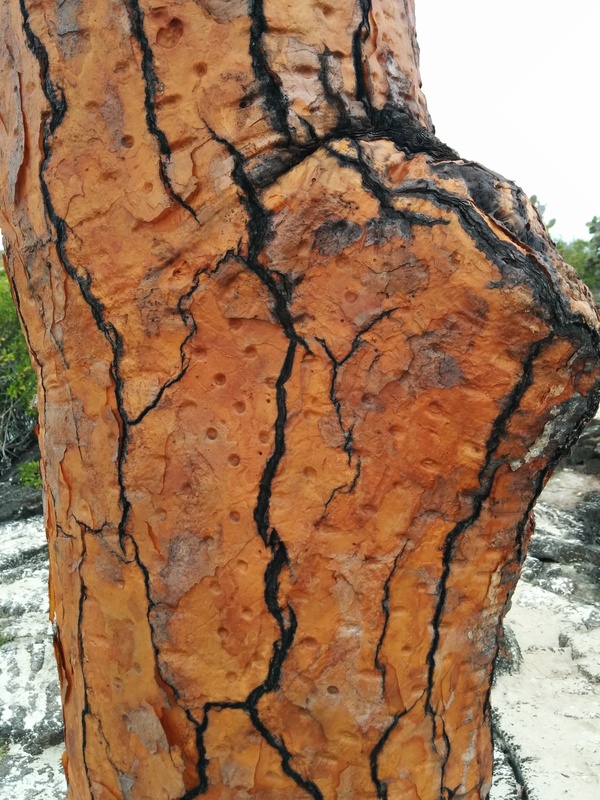 “Aa” lava is spikey and other-wordly. Colonised by lichens.. the precursor to the first plants. 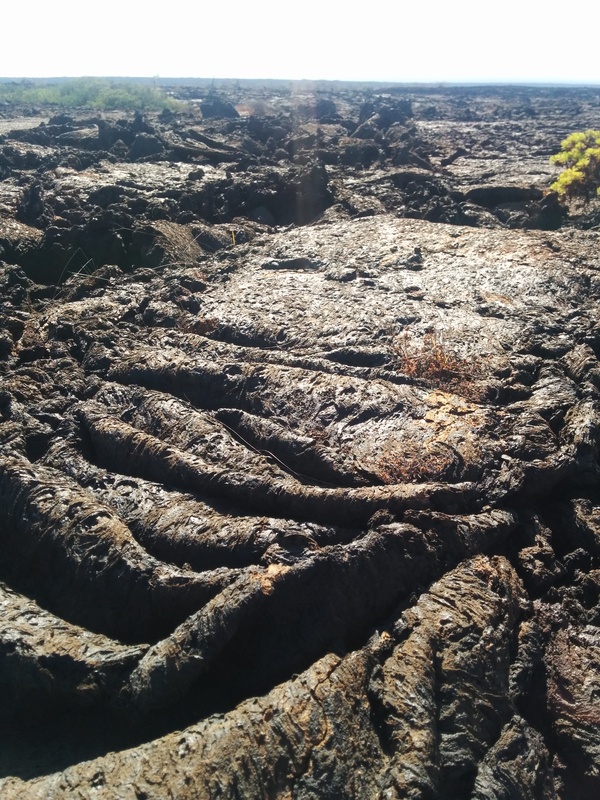 Both lava landscapes can be vast and sparse. Not classically “attractive” scenery, but we found them strange and magical. Also amazing fun to climb across (and incredibly tricky when the sea is lapping over them and making them slippy). When lava breaks underfoot it sounds like dinner plates smashing. 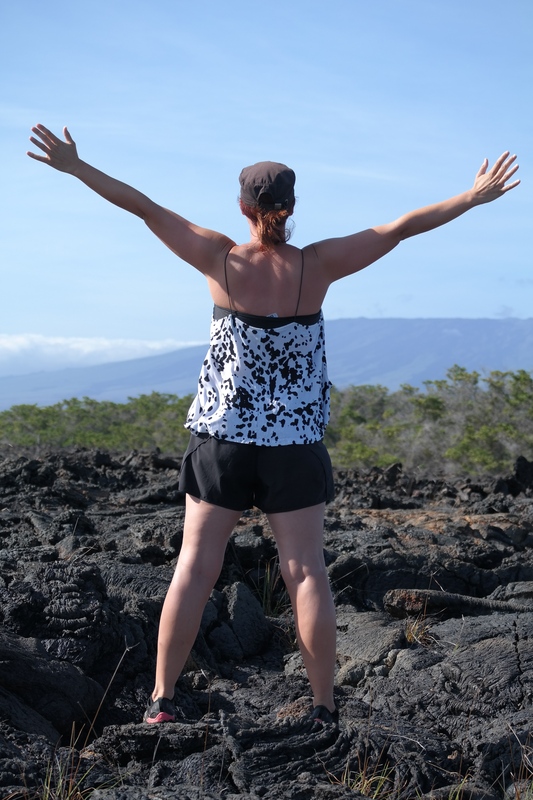 Everything about this place roots you in macros of time… in eons, not years, not 2 week vacations. Your chain of thought is dominated by questions about how animals and plants got here, when, how have they changed, why did they evolve as they have..? You look at the living as if they are millions of years old, as if they were the first. And you realise that days have slipped by bereft of human consideration, you are simply reflecting on nature – its a release from the everyday arrogant human self-regard. Surely its the most engaging natural history museum in the World. Some visitors will tell you that you’re just as well doing land-based day tours and to save yourself the high prices of a cruise. They are wrong. Its oft trotted out that you can’t get to some of the interesting places unless you are on a cruise, which is true, but its not the most cogent reason for doing so. What you really miss is immersion. We spent a few days doing land-based visits before the cruise. The problem is that ‘towns’ and ‘tours’ invade your imagination, it is sullied by everything “human”. You have to think what you’ll have for dinner, manage budgets, buy souvenirs, see other people… the land-based visit spots are always very busy. 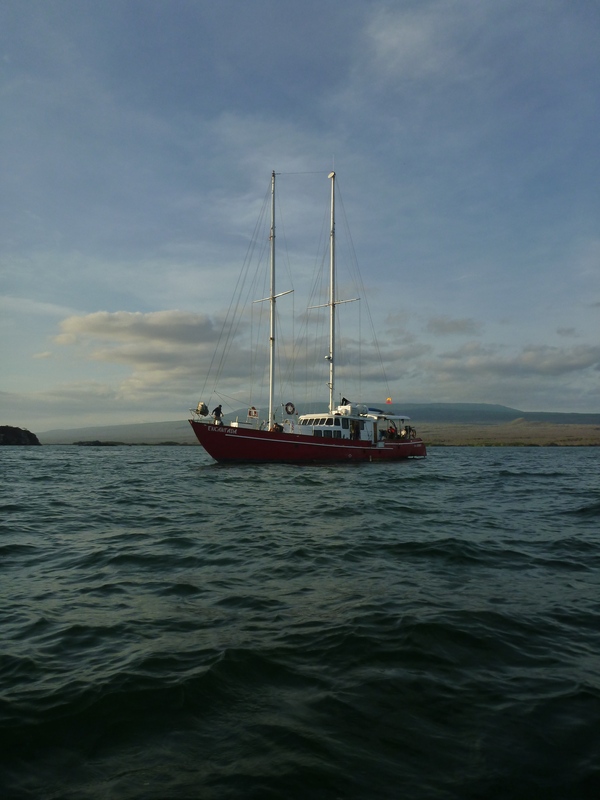 On the boat you are sitting in amazing landscapes with just 15 people, staring at a perfect clarity of a star-filled sky, watching sharks chase seals chase fish at the side of your boat. 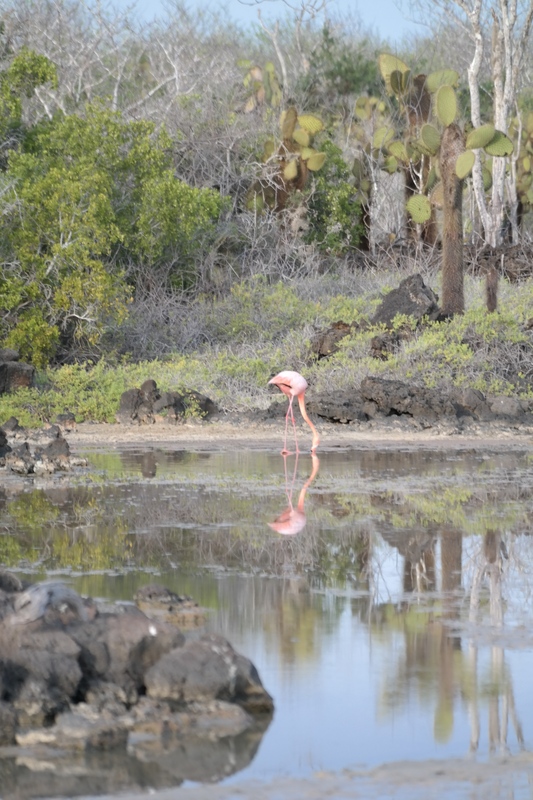 You reflect on everything except humans – what its like when you and the 15 other people on your boat leave? What was is like before humans arrived? OK, so you also wonder what was it like for early whalers or buccaneers or Darwin… grabbing land tortoises and storing them upside for up to 7 months on their ships for sustenance, but mostly its the purity of creation, the fragility and resilience of life, a World without humans. There is something pure, innocent, uplifting and humbling being here. Pure indulgence. Not just a break from the rat race, but a break from the human race… for the most part (see next blog from Man Baby). 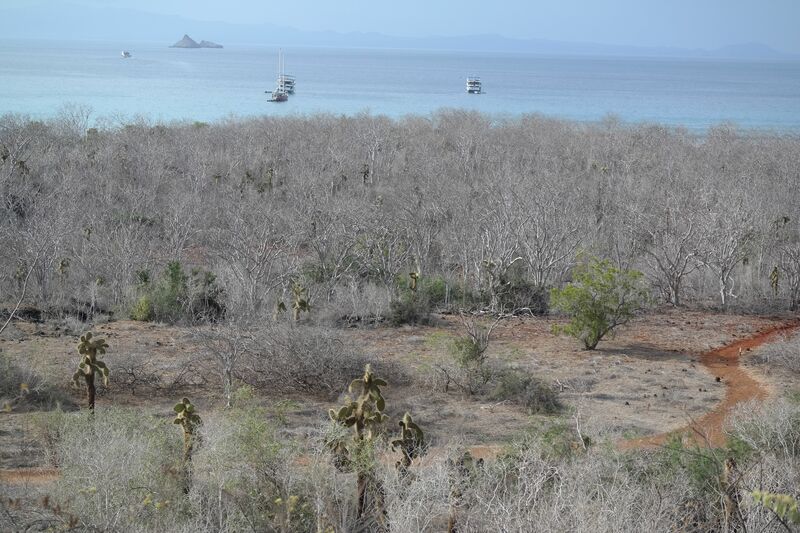 97% of the islands are reserved for the animals and plants. Humans are not allowed to visit (only perhaps researchers). Everything, bar the towns, is still relatively pristine. Although even the towns are fairly good – no litter, clear water even at the ports. The pests at the local fish market are pelicans and sea lions. The sad thing is that “Nothing is forever ever” (as our Guide Juan would say). The biggest change he’s seen in the last 35 years he’s been a guide is the growth of human settlements – Villamil on Isabela Island was 300 people but is now 3,000, for example. 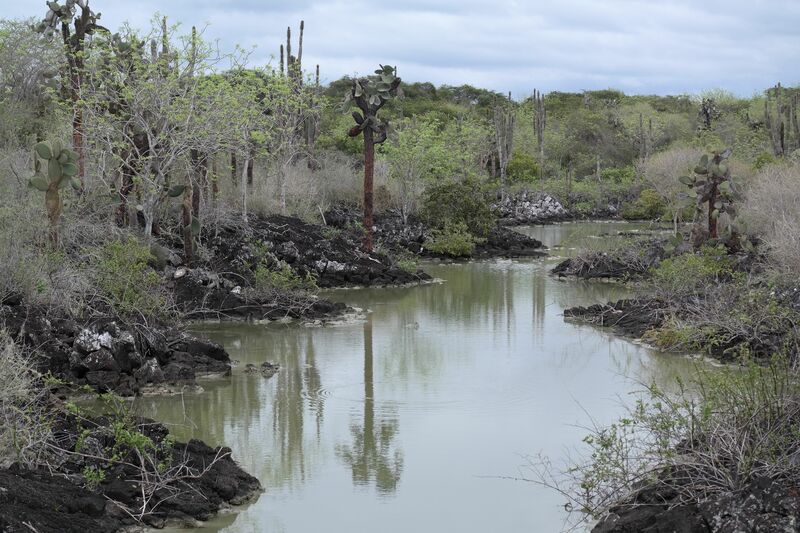 This is the risk for Galápagos – native people have a right to remain and reproduce, and this will likely always win when set against the 97% National Park. 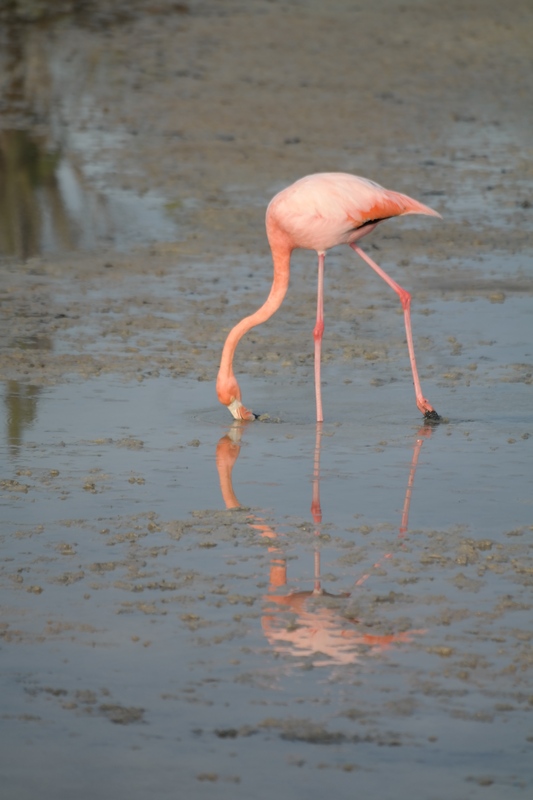 This entry was posted in Ecuador by emilypenny. Bookmark the permalink.